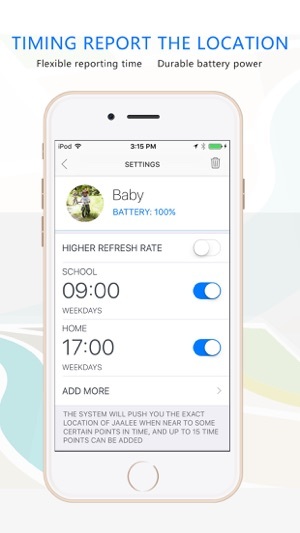 The 2nd generation of JAALEE supports viewing the location of items remotely. 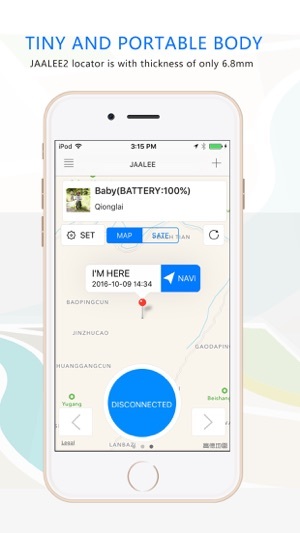 You may check the current location of items remotely through JAALEE app. For more details, please visit JAALEE official website. JAALEE, make everything in your control. 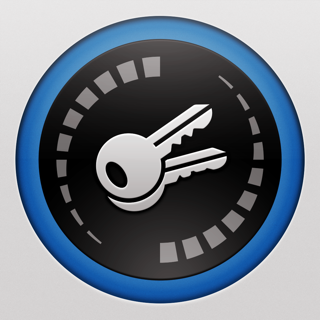 Using JAALEE, you can manage your items in an easy and convient way. JAALEE is ultra-slim, so you can hang or stick it on varies objects,such as handbag，keys,bank cards,remote control,passport,wallet,laptop and so on. 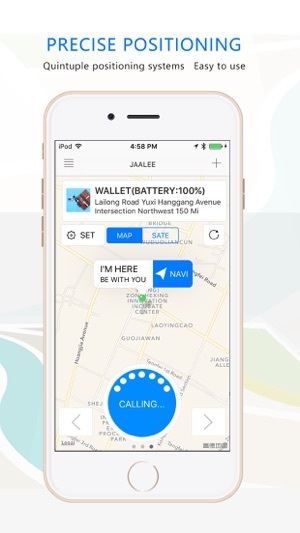 When you can't find your items,you can find them quickly through the sound and distance of JAALEE.Put JAALEE in your wallet,JAALEE will makes an alert when it falls.Place JAALEE in your bag when you have dinner,your phone will receive the alerting message and inform you if someone steals your bag of takes it by mistake.Besides, JAALEE also can be placed in large backpack,suitcase or luggage which you usually don't need to find it.But JAALEE will remind you to take it when you get off the car or plane, and will send you messge when you close the luggage on conveyor. Due to 2.6mm thickess, JAALEE can be used in office, for example,you can place it in your folders so you can find the file you need even though you haven't used the file for a long period. 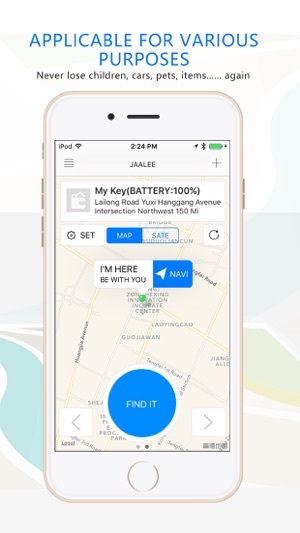 In addition,we provide Map for JAALEE and enables you remotely view the geographical location of you items. JAALEE, help you manage your life. Do you often forget to bring your keys? Forget to carry out your plan? Every morning when you get out, you plan to buy some daily suppies,but when you are back home after work, you actually forget to buy it.If you have these problems,JAALEE can help you out.Stick JAALEE on the door,JAALEE will remind you to do things such as bring your keys.And JAALEE will alert you when somebody moves your belongs.Place JAALEE on the doors or windows,at night if the doors or windows move or somebody is knocking the door, JAALEE will alert you.Stick it on your valuables belongs such as valuable storage box,JAALEE will inform you in time if anyone moves it. Place JAALEE on dangerous goods,sleeping pills, prevent the consequence of curious children eating the pills by accident. 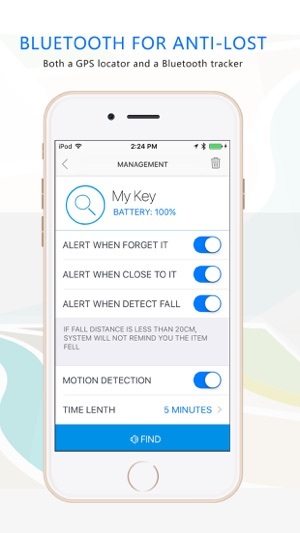 Do you often can't find your phone when you wake up in the morning? JAALEE can help you solve this. Just download JAALEE App,add the JAALEE,then double-click the built-in button, JAALEE will make a sound. 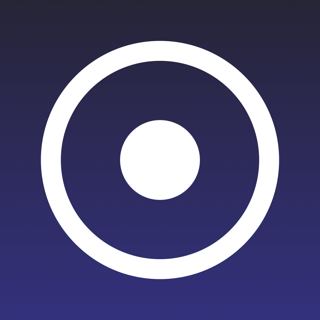 By pressing the button, JAALEE can be used for taking group photos or selfies. It's hard to even give this application a single star. The grammar is bad, the functions do not work, and the screen layout looks like a high school student created it. Doesn't even PRETEND TO WORK!